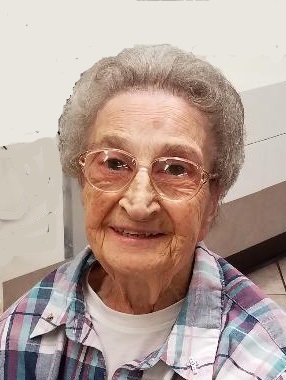 Lillian E. Roy 95, of Pickering Rd. died peacefully on January 21, 2019 at Blaire House of Milford. Born in Woonsocket, she was a daughter of the late Ludger and Marie Louise (McDuff) Roy. Lillian was a homemaker for most of her life. She enjoyed playing cards and bingo. She is survived by several nieces and nephews including her care givers Carol and Thomas Bray with whom she lived. She was predeceased by her siblings Lionel, Emery, and Joseph “Fred” Roy, Marie Jeanne Cote, Flore Giguere, Rose Vandenherrghe, and Theresa Lapchinski. Her funeral will be held Friday at 9:00 AM from the Fournier & Fournier Funeral Home, 463 South Main St., Woonsocket, with a Mass of Christian Burial at 10:00 AM in St. Theresa’s Church, Rathbun St. Blackstone. Burial will follow in St. Charles Cemetery in Blackstone. Visiting hours are Thursday 4-6 PM.